The season of warm company and home cooked meals is here! 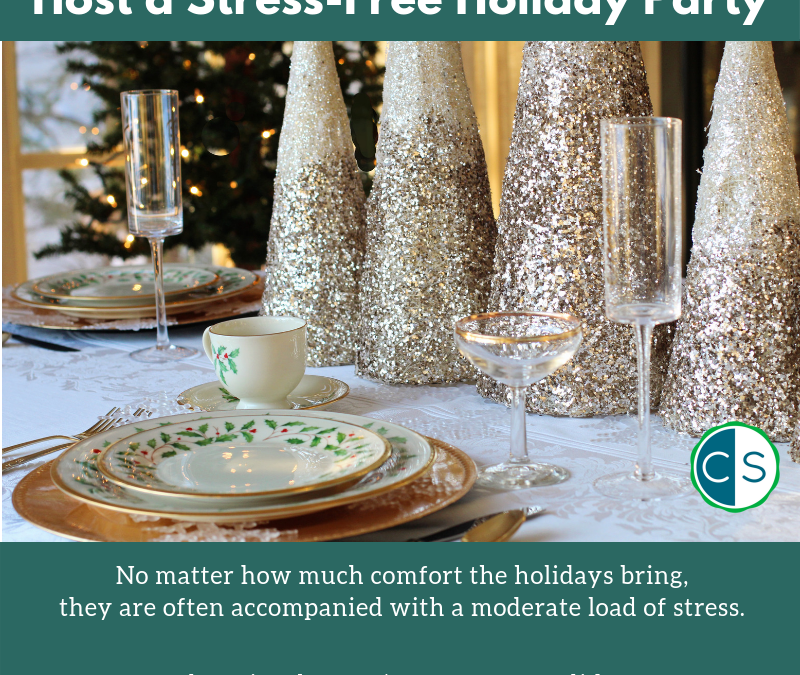 No matter how much comfort the holidays bring, they are often accompanied with a moderate load of stress, especially if you’re hosting a gathering for all your family and friends. 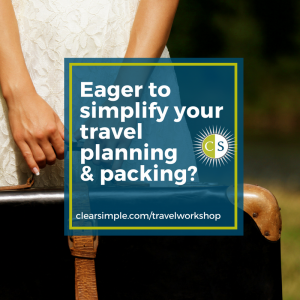 Although your list may seem daunting, take a deep breath and use this preparation guide to leave the stress behind! 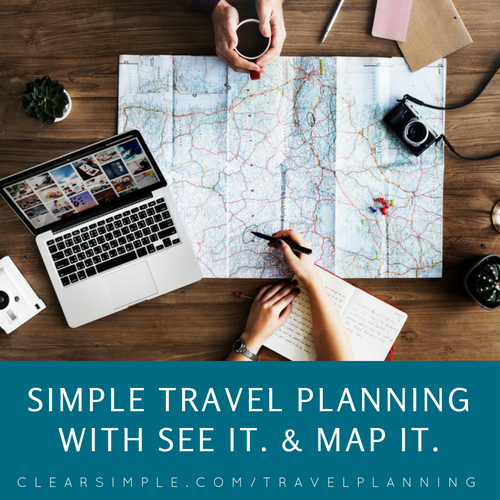 Regardless of the size of your home, you’ll want to start with clearing the space to plan for the increase in foot traffic – especially if you live in a small apartment. Walk through each room that your guests will be spending the most time in and rid it of accumulated clutter. It’s easy for guests to feel crowded and uncomfortable with a lot of people in one space, opening up space will not only put your guests at ease but also make a much safer space. In each room, have three bags or baskets on hand. Place any clutter into one of the following piles, “Move Elsewhere”, “Donate”, or “Throw Out”. Everything stored elsewhere should be in a location that your guests don’t have access to, such as the garage or a storage room. If you’re in a crunch, use a service that will sort and pick up your clutter for you. We highly recommend 1-800-Got-Junk. For those that have no idea where to start, hiring a professional organizer to ease your stress might be worth it. Lucky you, we can help! Exposed chords or wires are a disaster waiting to happen. Either rearrange the furniture or temporarily cover them with a rug or duct tape. Move any coffee tables or centerpiece furniture away from the couches so guests have an easier time getting to a seat. Once the clutter is cleared and the furniture is in its place, the process of cleaning will be much easier! Similar to decluttering, start in the rooms where your guests will be. This way, if you run out of time, the extra rooms that weren’t able to be cleaned aren’t such a big deal. Begin with dusting and surfaces in all of the main areas of the house, such as the kitchen and the living room. Vacuum or mop the floors, depending on your flooring style. The day before your guests arrive, make sure to give the house a second sweep. Clean the bathroom toilets and mirrors the day before so everything is fresh and shiny! After the place is tidy, add a few tasteful decorations in each room. You don’t need an abundance of fancy decorations to impress your company. Your guests understand that you aren’t the Hilton. Hang a simple wreath to your front door and welcome your guests with a small chalkboard sign in the walkway. Drape holiday-themed tablecloths over your tables and add a small DIY centerpiece. Really get your guests in the holiday spirit with a few holiday scented candles or air fresheners. The day of the party should be dedicated to cooking and greeting guests. After all, the beauty behind the holiday season is the time spent with the people you love most. If you find yourself stressed, don’t be afraid to ask for a helping hand.